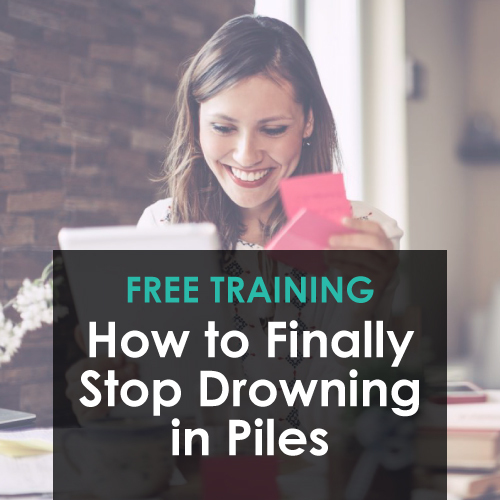 Share the registration page for our free class, “How to Finally Stop Drowning in Piles,” with friends and family and we’ll send you access to our exclusive new resource to lock your personal and business routines into place. 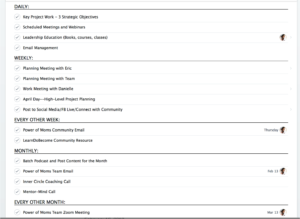 One of the biggest a-ha moments that people see inside our STEP program is that routines are different than projects. If you look at most “to-do” lists, you’ll see routines, projects, tasks, and calendared items–all mixed into one. THAT is why so many lists feel like they’re never-ending. However, when you learn to extract and clarify your routines–and keep them on a totally separate list–you’ll feel an immediate “lift,” and you’ll find that you’re better able to focus on the projects you want to move forward in your life. In our Routines class, “Run Solid Routines on Autopilot,” we’ll teach you three steps to solidifying routines in your life and walk through several concrete examples of routines we use in our home and business – laundry, meal planning, and more! We’ll also answer some questions, like how to put routines in place without overwhelm or how to implement routines with busy kids. 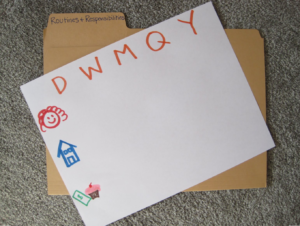 (We’ll explain the photos below in the free resource)! (1) Post a link to our free training, “How to Finally Stop Drowning in Piles” (http://LearnDoBecome.com/STEP) on your social media account–or email it to 30 friends. You can create your own message or edit the one below! Report back once you’ve shared by clicking here! Kelly, we’ll send you an email with the info you’re looking for. 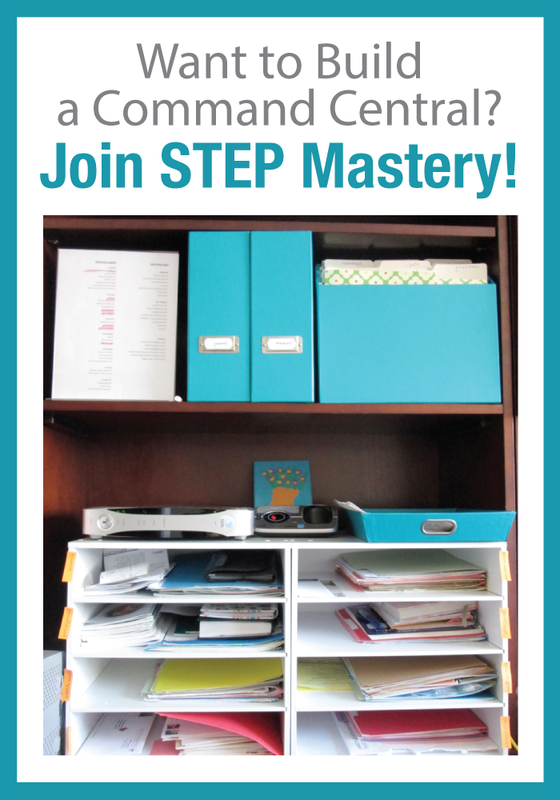 Thanks for being part of STEP Mastery! I sent the link to 30 of my friends and family. Can you please send me the link to the recording? I must have missed it. Thanks! Maridel, thank you for sharing! I’ll send you an email with the information. Have a great day! Ugh! I missed it! Because my routines are so bad, I didn’t look at this email til the 24th! Will you be offering this class again?? “Report back once you’ve shared by clicking here!” & enter your information. The link to the replay will be sent to you in an email. Enjoy! I shared “how to stop drowning in piles” on Facebook. I’m looking for the replay link, but I haven’t received it yet I guess? “Report back once you’ve shared by clicking here!” & enter your information. Then the link to the replay will be sent to you in an email. Send a message to [email protected] if you have any trouble. Enjoy! “Report back once you’ve shared by clicking here!” & enter your information. The link to the replay will be sent to you in an email. Send a message to [email protected] if you have any trouble. Enjoy! I shared on fb and would like to access the routines class. 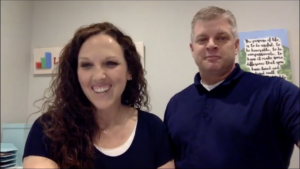 Mary Baldwin shared LearnDoBecome.com’s live video. I shared on FB, and when I click the link above I get an error message. Can you please email the link? The link is on its way! Thank you for sharing on Facebook! I FINALLY read your email about this…I was about to delete it along with other unreads because my life feels to overwhelming right now as I try to work and care for several older relatives nearby…but I’m feeling the nudge to try to gain my footing again. I’m already in the Mastery Program and need another shove! “Report back once you’ve shared by clicking here!” & enter your information. Then the link to the replay will be sent to you in an email. Send a message to [email protected] if you have any trouble. Enjoy & thanks for being part of our Mastery program! I am currently going back through the Life Architecture Facebook page reading posts, listening to the video calls, and making notes. I did not see the information about STEP LOVE until yesterday. I feel like 2018 completely feel apart for me and I never gained my footing. I very much want to make this year memorable. I am wondering if it is now too late to gain access to this resource. If so, I will understand. If not, please let me know what I need to do.